Oral health is much more important than many people realize. The Mayo Clinic* is reporting that oral health can have a significant connection to your overall health. 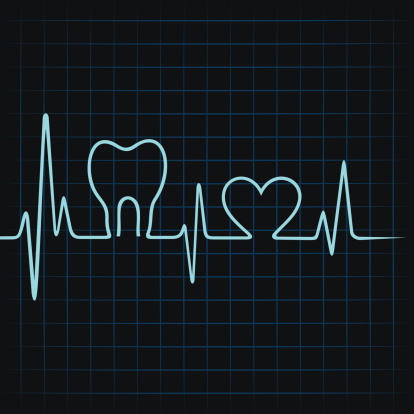 Studies have recently connected Endocarditis and Cardiovascular Disease with oral health. That is why seeing a dentist on a regular basis is just as important as seeing your physician. At Atchison Family Dental, your oral health is our primary concern. While at our office, we make sure that you receive the highest level of service and ensure that our dental work is of the highest quality. To ensure that you maintain great oral health, this level of quality needs to extend into your personal oral hygiene routine. We can help you establish a dental hygiene routine that will keep your teeth healthy and white. If you have any questions about your current hygiene plan, please ask us. We are more than happy to answer any of your questions. Though your clean teeth are essential to oral health, they are not the only important factor. Healthy gums are essential to oral hygiene as well. Our office is equipped to offer periodontal cleanings and treatment. However, we can also refer you to one of our recommended specialists. Please let us know if you have any questions. Mayo Clinic Staff. "Oral Health: A Window to Your Overall Health." 11 May 2013. Mayo Clinic Database. Web. 5 February 2014.